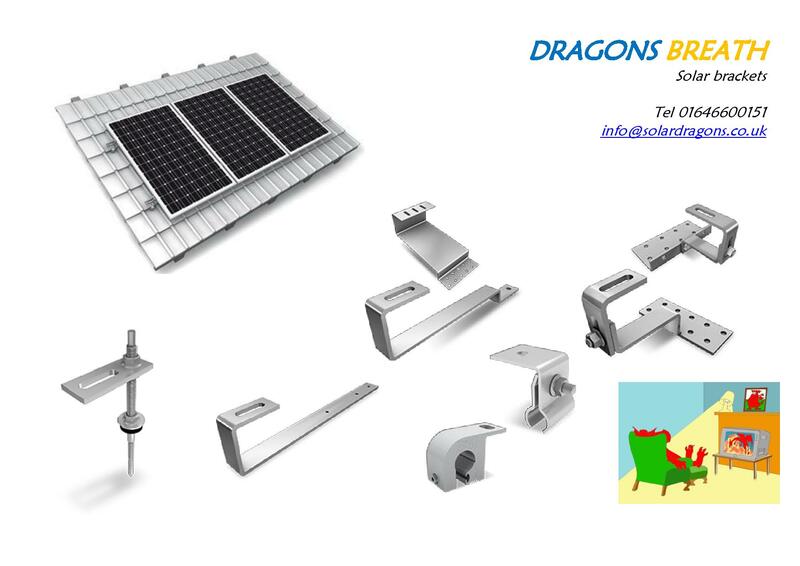 Equipment included within range, solar photovoltaic slate brackets in stainless steel. Pan tile, plain tile, concrete tile, Marley, slates and rafter sets with rails to match any solar PV panel roof attachments. Plus T bolts, M10 nuts, mid and end clamps in black and silver anodised finish to match your any size solar panel. This range covers all possible fixing options C/w fixing screws to meet with any installation process. Allowing you to chose the components you require. We offer discounted prices based upon the quantity purchased. This is a sliding scale discount. So the greater the order the biger the discount available. Solar panel universal end clamps in black anodized finnish.Suit PV panel sizes 32mm - 42mm sizes.Use one clamp for this range of solar panels. The latest universal black solar panel mid clamp form K2, offering a one size to fit 32mm - 43mm PV panels.